Rack Enclosures: More Than Furniture? 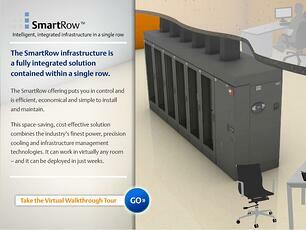 How do you chose your data center rack systems? Rack systems are strategic assets that play a key role in system uptime and data center availability and reliability. They can be counted on to be flexible and adaptive to accommodate rapid change. 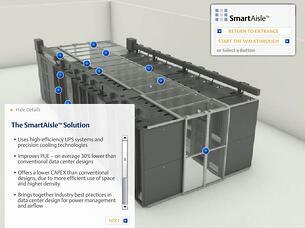 They can accommodate monitoring systems that can enhance the management of the data center ecosystem. 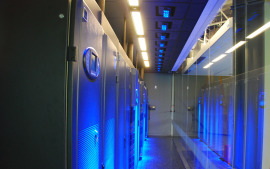 They are, in short, a vital component of any data center. The white paper notes that racks are now available that improve equipment installation speed via tool-less, slide in, slide out procedures. Taller racks take advantage of the data centers headroom, while rack depth has increased to accommodate equipment. Side breathing needs have increased rack width to meet new manufacturers specifications and to enhance equipment performance and life through hot-aisle/cold-aisle arrangements.